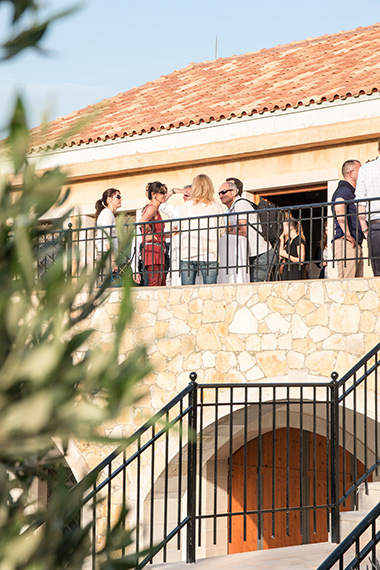 Our standard tour includes an introduction to Cretan olive oil & olive oil quality, a visit to our production facilities, a short film that shows how we produce during winter, and a tasting of our three products. The mill is open to visitors by appointment Monday-Saturday 10:00 – 18:00. Please send us your request, preferably one day in advance the latest, and we will respond with a final confirmation. Tours are suitable for young children. We learned so much from visiting the Biolea farm — who knew there was so much to potentially learn about olive oil production? Our tour was fascinating and informative, and the olive oils are so delicious. Great factory tour with lots of details about olive oil production. Learned so much about the differences in olive oil quality levels and production methods! It was the first time we visited an olive farm and we could not have chosen better! The road to the plant is spectacular, great views!!! Our experience at Biolea Olive Oil Estate was fantastic. Chloe, daughter of the owner, was friendly and knowledgeable about olive trees, olives, and of course the organic oil production for the family brand. Our guide was very interesting. The place is a little bit hard to find but it worth it! It’s a beautiful place to visit and the olive oil is very good! I had a very kind email contact with Chloe and we’ve visited biolea today. We had tour through the fabric, with a lot of information. It was very interesting and Chloe was very friendly! At the end of the tour you had the chance to try the different oils! Really good! We can recommend it!! !